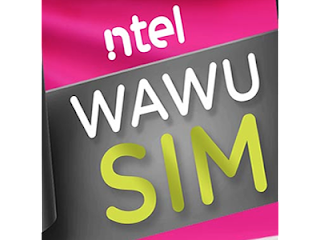 Enjoy Freebies with "Ntel WAWU SIM", Ntel 4G network provider in Nigeria with track record of blazing browsing and downloading speed. The latest promo from the network is called "Ntel WAWU SIM" and it gives subscribers 500% data bonus on any recharge and 10GB free data. The promo is basically for new customers; you need to buy and register an Ntel SIM for N1,000 and you will be given 2 sim cards. The first one contains 1GB to last for 48hours and the second sim contains 10GB + 1000 airtime free to last for 30days. While on the second SIM card, you'll also get a whooping free 10GB data which valid for 30 days. Meanwhile, the free 500% data bonus given to you when you buy a data plan valids for a year. -Assuming you subscribe for Ntel monthly data plan of N500 which is 1GB, you'll receive 6GB data. -When you subscribe for N1000 data which gives 2GB, you will receive 12GB and the same applies to the voice and other data plan. Other bonuses includes unlimited 2 days night plan for N500. -Unlimited 7days night plan for N1500 and 30 days for N5000. Note that the 8kb/sec cheap call rate can be used to call every networks in Nigeria. The Ntel SIM works on smartphones and universal modems. This offer will last till 30th of April 2018. Do you have Ntel network in your area? Do you have an Ntel SIM? It's your time to enjoy this bonus and what it costs is just getting a new SIM and purchasing data.